Since June of this year I have been working with the Quinault Indian Nation on the Pt. Grenville Development. 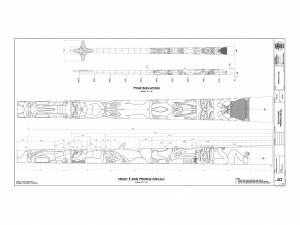 As part of that project we have planned three large totem poles. 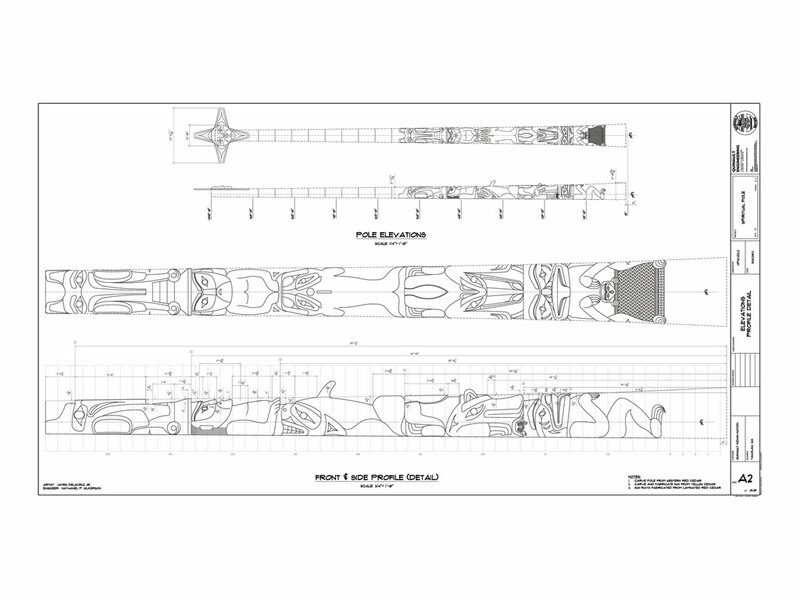 The first pole has been designated the “Spiritual Pole” and is being carved by James DeLaCruz Jr., a Quinault Artist. 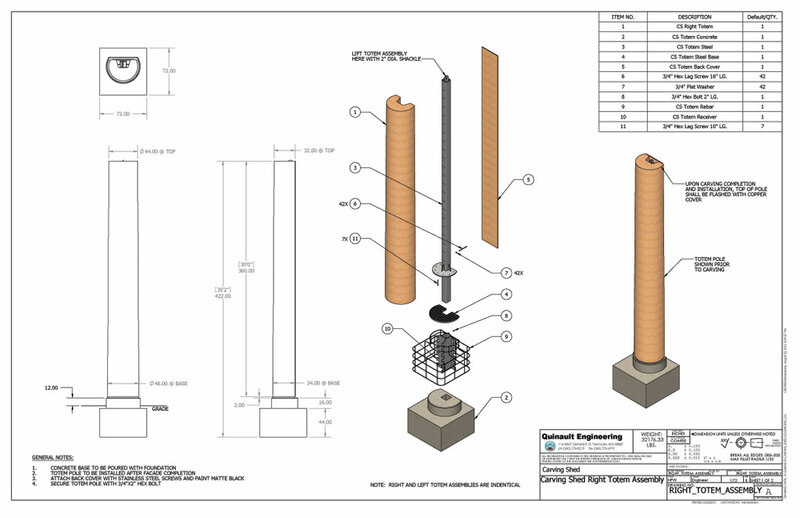 I have been working alongside James on this pole helping with some of the research and technical drawings to assist in the design process. 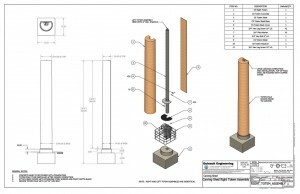 The plan is to have a 100ft pole but with the high winds at the point it does concern me some how we will achieve that. I’ve also been working on the structural drawings for the house posts that will form the front of the carving shed as shown below. This system is based on research I have done observing the methods used by the Jamestown S’Klallam Tribe in how they mount their poles. I like to think of these as 21st Century totem poles. The Spiritual Pole will use a similar mounting method but on a much larger scale.